Being a trusted health care facility in the community. We provide individualized rehabilitation programs that take our clients from injury to recovery. Our fitness programs empower our clients to achieve new levels of performance at home, work and play. 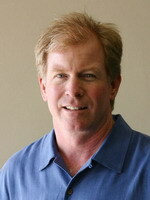 Randy Bauer owns Bauer Physical Therapy in Laguna Hills, California. Randy has over 26 years experience as a physical therapist and athletic trainer. Randy completed is undergraduate studies in athletic training at Utah State University. He studied exercise science at Cal State Fresno prior to completing the physical therapy program at The Mayo Clinic at Rochester, Minnesota in 1987. Randy has been deeply involved in athletics and sports. At El Modena High School he was an all-county running back on their CIF Championship football team. In track and field, he was all-league in the pole vault and competed in the decathlon. Randy has developed fitness and conditioning programs for high school, college, sports clubs, Olympic and professional athletes for over two decades. He provides athletic training coverage for sports tournament, area high schools. Randy regularly lectures at professional educational seminars. He strives to bring innovation and excellence to all areas of his practice. He takes great pride in his professional and support staff and their ability to deliver consistent first-rate care to each patient and client at Bauer Physical Therapy. Randy coaches his son's baseball and football teams. He enjoys skiing, hiking in the High Sierras and fly fishing. He relaxes by reading professional journals and thought provoking books. 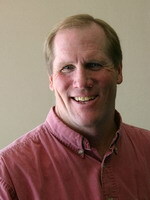 Jon Sterkel has over 25 years experience as a physical therapist. Jon graduated from Pepperdine University in Sports Medicine and earned his Masters of Physical Therapy from Chapman University. Jon spent 2 years in an orthopedic residency program to become a Certified Orthopedic Manual Therapist. Jon competed for 15 years in water polo through college and on national teams. Jon has enjoyed competing in 5 Ironman's, in Hawaii, starting in the 1990's. He has been a ski patrol for 15 years, and enjoys hiking and being outdoors. Just completed a hike up Mt. Whitney with co-worker Victoria and friends. Victoria Johnson has over 25 years experience as a physical therapist assistant in both orthopedic and hospital settings. She graduated from Cerritos college and pursued a degree in physiology at Cal State Long Beach where she was a competitive swimmer. 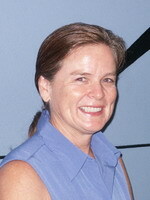 She enjoys her role at Bauer PT as a wellness coach and educator. Victoria was a semi professional mountain biker for 4 year but now enjoys biking at a recreational level with her family. Victoria is an outdoor girl and the most happy when she is camping and hiking with family. Her latest big hike was climbing Mt. Whitney.